Like many spirits, liqueurs were originally designed for medicinal purposes and are accredited to European monks as far back as the 13th Century. A plague known as The Black Death swept throughout Europe in the middle of the 14th Century, wiping out a third of the continent in only 7 years. The catastrophe boosted demand for medicine across Europe and centers of learning (primarily monasteries) increased their production and, in turn, their growing knowledge of distillation. Whilst herbal and monastic liqueurs kept up, at the very least, a façade of being medicinal, distillers all over Europe were producing liqueurs purely for pleasure and profit. By the 15th Century, the Italians were leading the way with many noble families producing their own recipes. In 1547, a 14 year old from a wealthy Tuscan family, Catherine De Medici, married Henry II to become Queen Consort of France. Italian aristocracy then held major influence over France and Catherine’s introduction is often attributed with turning the country into a powerhouse of liqueur production and consumption. The discovery of the Caribbean and the Americas by Europeans heralded not only new land and territory, but a new range of exotic ingredients for distillers to explore. In 1575, the Bols family moved to Amsterdam and established a distillery. By the mid-17th Century, at the height of Dutch colonial power, Lucas Bols was a major shareholder in the Dutch East India Company and had direct access to the foreign fruits, herbs and spices being exported back from the New World. These were used to create new liqueurs and genevers, playing a huge role in the success of liqueurs and the Bols distillery. The mid-20th century saw an explosion of brightly coloured liqueurs, such as blue curacao, in an attempt to revitalize a cocktail culture that had been decimated by Prohibition. 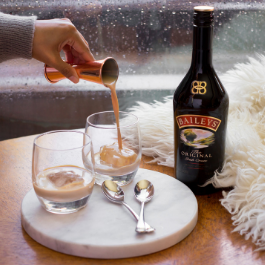 Artificial colourings aside, there was also real technological progress being made with innovations like Baileys, the first shelf stable Irish whiskey and cream liqueur, in 1971. 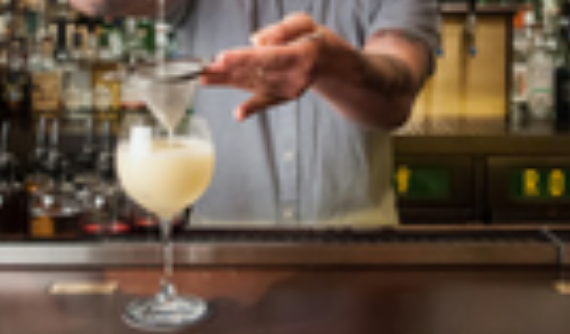 Owing hugely to cocktail culture, the world of liqueurs and other spirited drinks has developed from medicinal remedies to bar staples that offer a galaxy of spices and herbs. There are several methods employed for extracting the flavour from the fruits and spices in liqueur production. They are: percolation, maceration and distillation. The final result of any of these methods, however, is that the flavour of the spice or fruit is dissolved into the alcoholic base and sweetened with sugar or other sweeteners. The choice of method used depends on the source of the flavour to be extracted, and on the particular flavour desired from the flavouring agent. Some flavouring agents will yield different flavours, depending on the type of extraction used . Percolation is a method that mimics the same techniques used in percolating coffee, but with liqueurs the percolator is a large tank and can be done hot or cold. Spirits are placed in the bottom of the tank and raw material is placed at the top of the tank in a basket-like container or, in some cases, suspended in cloth bags. The spirits are pumped over the basket/ bags repeatedly or brought to a boil so that the vapours rise (percolating through the flavouring agent and falling back into the main pot), until the entire flavour has been extracted. This process is also termed ‘hot infusion’ – similar to maceration but the base alcohol used is heated. It’s important the flavouring agent is stable enough to heat as this must be maintained for several days to impart the qualities from the base material. The maceration method used in making liqueurs is not unlike that of brewing tea. The fruits or other flavouring agent(s) are allowed to steep in the spirits unlike the full range of flavours or aromatics have been extracted. This can be a very slow process, with the flavouring agent soaked or steeped from anywhere between one day and a year, as many base materials may lose flavours or characteristics if heated. The final product is referred to as a tincture. Percolation and maceration are often only the first steps in producing a quality liqueur. 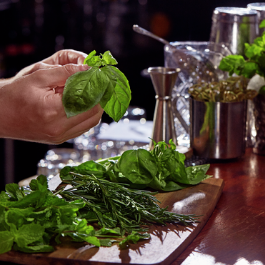 After the flavours have been extracted using these methods, the heavily flavoured spirit is often redistilled, resulting in the delicacy of flavour desired by the maker. 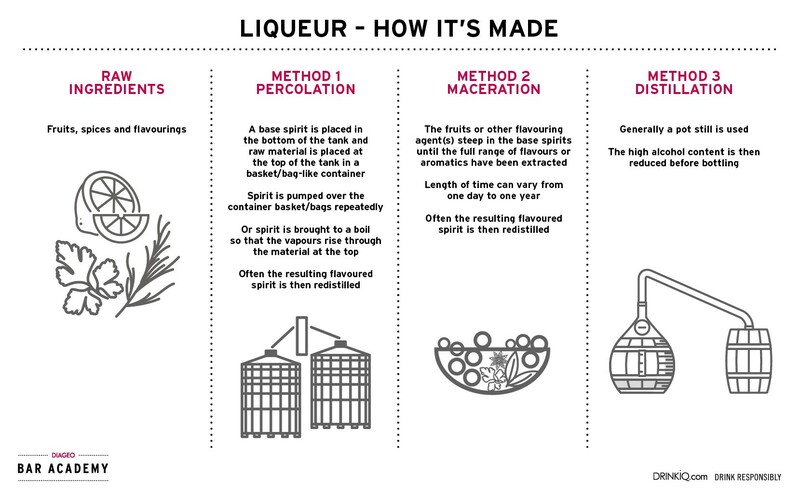 The distillation process generally uses a pot still and, in some areas of production of liqueurs, is the only process utilised. The leaves, peels, seeds, etc. are placed in a still, covered with an alcoholic spirit and distilled. After heat has been used to isolate flavours, the distillation concentrates the essential oils extracted and produces a high proof, heavily flavoured distillate. The high alcohol content is then reduced before bottling by the addition of syrup (sugar and demineralized water) and may also add colouring materials. The methods used in liqueur production are determined by the base flavouring agent. A juicy fruit could easily undergo maceration, providing a juice that could be added to the base. It should be noted, however, that citrus liqueurs (immensely popular in the 19th Century and still indispensable today) are not created from the flesh of the fruit, but rather from the oils and flavourings extracted from the rind of the fruit (generally, through percolation). Distillation or percolation are quite suited to extracting the flavours from harder or drier sources, such as many spices, or from skins of certain fruit. 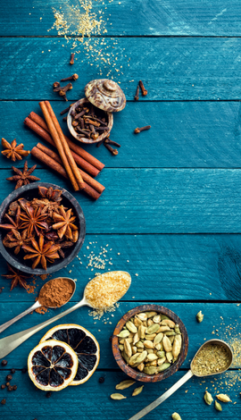 Monastic & Herbal Liqueurs – This describes liqueurs that are flavoured with a variety of herbs and spices to impart a complex flavour profile on the finished spirit. These are often affiliated with monasteries or are made to centuries old recipes. Generic Liqueurs – By far, the largest category of liqueurs, this refers to flavours often replicated by brands that usually act as staples of a bartender’s arsenal. Any liqueur with a ‘crème de’ in its title is an example of a generic liqueur. Examples in this category include: amaretto, maraschino, triple sec, crème de cassis and apricot brandy. Whilst the flavour profiles of each liqueur across brands can be similar, the quality offered can vary substantially. Proprietary Liqueurs – This refers to liqueurs that are made to a recipe solely owned by the producer; they cannot be replicated by other brands nor can they be substituted by other brands into a recipe. Cream Liqueurs – These are liqueurs that contain dairy products, like Baileys or Dutch Advocaats (egg custard liqueurs). 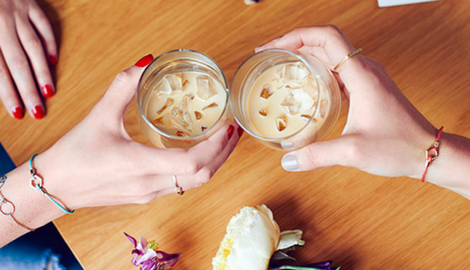 This category was pioneered by Baileys in the 1970s, when Gilbeys of Ireland created the first shelf stable product – that is, it will not deteriorate opened or unopened, refrigerated or not for over 2 years (when kept out of direct sunlight). Bitters – these are concentrated bitter tinctures, usually with an alcohol (or sometimes glycerine) base, purposefully designed as patent medicines or cure-all tonics in 18th Century England. These initially promised a wide range of medicinal benefits and were unpalatable alone; requiring a good mixture of hard liquor, sugar and water – these formed the earliest ‘cocktails’. By the 1850’s, the demand was so high there was a huge increase in bitters producers, including Angostura in Venezuela (1824). Bitters, and their base flavours, are normally obtained from herbs, roots and barks. The aromas of bitters are created from flowers, seeds and fruit. Similar to the production of liqueurs, flavours and aromas of bitters are extracted through percolation or maceration in an alcoholic (or sometimes glycerine) base and through distillation. Vermouth – Wormwood is a family of plant that was widely used in Europe to flavour household wine and beer throughout the Middle Ages. Wormwood wine was particularly prominent and modern vermouth owes a lot to Italian, Antonio Carpano, who created a recipe for ‘wermut’ (named after the German ‘wormwood’). This recipe took the local floral Moscato wine and blended it with 30 botanicals before fortifying it with grape spirit and giving us the earliest form of Vermouth. Today’s vermouth is technically not considered a spirit but a (flavoured, aromatized) fortified wine that has had its ABV increased with neutral spirit and has been flavoured with a variety of herbs, botanicals and spices. The standard for contemporary schnapps and every drinks' cabinets. 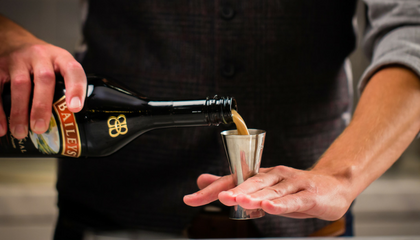 The world's best-loved liqueurs, blending whiskey and smooth Irish cream. Summer wouldn't be the same without Pimm's classic mix! 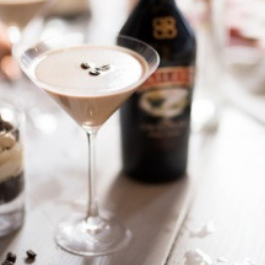 If your customers are asking for an indulgent and delicious digestif, there is no better liqueur to get creative with than Baileys. 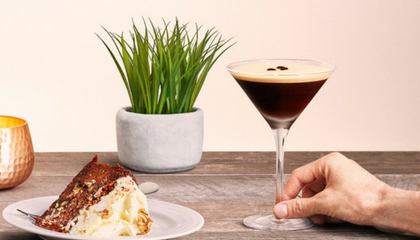 The aptly named Espresso Martini Society reveal their most inventive twists on classic coffee cocktails for you to serve up in your bar. 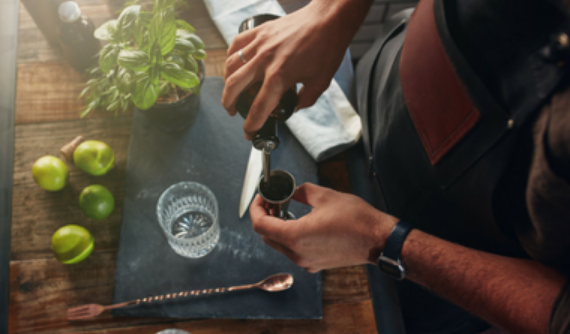 Come and travel around the world with us and discover some of the top bartender’s national classic cocktails and how to make them with a twist.